Scroll down to see the top not-for-profit colleges and universities in Massachusetts offering online degree programs. The University of Massachusetts-Lowell offers more than 40 online degree and certificate programs, as well as many individual online courses. Online undergraduate degrees include an associate degree in information technology and management, and bachelor's degrees in information technology, business administration, criminal justice, psychology, English and liberal arts. Online graduate degrees include master's degrees in information technology, business administration, finance, accounting, criminal justice and security studies with concentrations in cyber security, homeland defense, critical infrastructure protection, international security, and industrial and economic security. Online master's degrees are also available in the field of education in subjects such as educational administration; curriculum and instruction; reading and language; administration, planning and policy; and reading and language. Additionally, 10 undergraduate certificates and 14 graduate certificates are available online in subjects like paralegal studies, contemporary communications, multimedia applications, biomedical engineering, clinical pathology, domestic violence prevention, forensic criminology, health informatics and victim studies. The University also offers two blended degree programs that combine online and on-campus learning: a Master of Science Degree in Health Informatics and Management and a graduate certificate in health management. The University of Massachusetts-Amherst offers undergraduate and graduate degree programs that can be completed entirely online. Online undergraduate options include a B.S. in Hospitality and Tourism Management, an R.N. to B.S. in Nursing program and a Bachelor of Business Administration with concentrations in accounting, finance, management, marketing, and operations and information management. The University also offers an online degree completion program called University Without Walls (UWW) in which students who have already earned some undergraduate credits can earn a B.A. or B.S. degree in concentrations such as arts administration, business studies, children's learning and development, criminal justice, early care and education, health and human services, journalism studies and sustainability studies. Online graduate options include a Master of Business Administration, an M.S. in Accounting, an M.S. in Engineering Management, a Master of Education and Education Specialist degree in science education, an M.S. in Clinical Nurse Leader, a Master in Public Health in Public Health Practice, a Master of Public Health in Nutrition and a Doctor of Nursing Practice. Additionally, nine online certificate programs are available in subjects such as arts management, casino management, sustainable food and farming, journalism and criminal justice. Online students at UMass Amherst are eligible for financial aid. Boston University offers online degree programs at the bachelor's, master's and doctoral level. The University's online bachelor's degree in interdisciplinary studies is a degree completion program designed for students who have already completed 52-64 transferable credits. Online master's degrees are available in eight subjects, not including specializations. Master's degree subjects include art education, criminal justice, music education, computer information systems, health communication, management, social work and taxation. Additionally, online doctoral degrees are available in music education and occupational therapy and online graduate certificates are available in 17 subjects, including advanced information technology, applied business analytics, clinical investigation, data analytics, health informatics, information security, international marketing and web application development. Most online programs at BU are offered completely online. Only a limited number of online courses are available to students who aren't enrolled in online degree programs; the University offers four individual online undergraduate courses and four individual online graduate courses. Online courses at BU are asynchronous and last for seven weeks. Online students at BU are eligible for financial aid, including loans, scholarships and grants. Harvard University offers online courses in a variety of subjects, and also offers many online degree programs through the Harvard Extension School. Individual online courses are available in arts and design; business and management; computer science; economics and finance; education and organizational development; government, law and politics; and history. Online degrees offered through the Harvard Extension School include a bachelor's degree in liberal arts, a joint undergraduate/graduate degree program, and graduate degree programs in 28 subjects, including dramatic arts, English, journalism, literature and creative writing, museum studies, visual arts, finance, management, mathematics for teaching, international relations, biotechnology, biology, anthropology and archaeology, clinical psychology, government, religion, legal studies, sustainability and software engineering. Students earning online degrees through the Extension School are required to complete three courses before officially applying for admission. Their performance in these courses will determine their likelihood for admission. Once admitted to the School, students are required to complete an on-campus experience, with varying length requirements depending on the program. The master's program in journalism, for example, requires students to complete four credits on campus, which usually constitutes one course. This requirement can be met through a three-week or seven-week summer course or a three-week January course, among other options. Financial aid is available to online Extension students once they are admitted into their chosen program. The University of Massachusetts-Boston offers online degrees at the bachelor's, master's and doctoral level, as well as many individual online courses. Online bachelor's programs include a B.A. in Global Affairs and an R.N. to B.S. program. Online master's degree programs are available in applied linguistics, critical and creative thinking, history, science in a changing world, instructional design, school counseling, family therapy, gerontology, mental health counseling, rehabilitation counseling and vision studies with concentrations in orientation and mobility, teachers of students with visual impairments, and vision rehabilitation therapy. An online M.Ed. in Learning, Teaching, and Educational Transformation is also available, as is a Doctor of Nursing Practice. Additionally, 16 certificate and licensure programs are available online in subjects such as business analytics, information technology, international development, healthcare informatics, gerontology and vision rehabilitation therapy. Online courses at UMass Boston are delivered in an asynchronous format, although some courses use a synchronous conferencing tool to hold real-time class meetings. Online students are eligible for financial aid as long as they are enrolled in a degree program and are taking at least six credits of coursework. Simmons College currently offers five online programs: Master of Science (MS) in Library and Information Science, MS in Nursing, Master of Social Work (MSW), Master of Business Administration (MBA), and MBA in Health Care. Students accepted to the MS in Library and Information Science program can choose from the following areas of concentration: archives management, cultural heritage informatics, and information science. The online courses for this degree program are offered asynchronously. The MS in Nursing degree has a Family Nurse Practitioner concentration and requires one weekend immersion experience in the Boston campus. Students can complete clinical placements within their home community. The online MSW from Simmons offers clinical specializations in child and family, trauma and interpersonal violence, mental health and addictions, and health and aging. An advanced standing MSW program is available online. This program is comprised of 37 credits and can be completed in four consecutive terms (15 months). The AACSB-accredited School of Management at Simmons College offers an MBA program that places a distinct emphasis on women's leadership and diversity in the workplace. Students accepted to the 50-credit Health Care MBA program can earn the degree in as few as 24 months by enrolling in six credits per term. Framingham State University offers bachelor's and master's degrees as well as graduate certificates through its online programs. Undergrads seeking a customized curriculum can earn an online Bachelor of Arts in Liberal Studies, an option that allows them to devise a major that isn't currently offered at the university or to take a broad array of classes in multiple subjects. Liberal studies majors can create a prior learning portfolio and have it assessed; students are eligible to receive credit for up to eight classes through the prior learning assessment. Students seeking a Master of Education can choose a concentration in educational technology, curriculum and instructional technology, or in nutrition education: school nutrition specialist or nutrition education specialist. The university also has an online Master of Science in Merchandising. Graduate certificates are offered in instructional technology proficiency and in merchandising. Some of these online degrees, including the merchandising degree and school nutrition specialist degree, require students to work a practicum or internship. All online students have access to university library resources and access to librarians when they need help with research assignments. The online programs accept students on a rolling admissions basis. Bay Path University is home to the American Women's College (AWC) Online, which it advertises as the first fully online degree program in the U.S. that is designed specifically for women. AWC Online has more than 20 degree programs that can be completed entirely online. Students can enter the programs at six start dates a year, and classes are offered in accelerated, six-week sessions. AWC allows students to transfer in as many as 90 credits, accepts credits that were not earned recently, and grants credit for military or volunteer service and work experience through a prior learning assessment process. Classes emphasize collaboration and support, which AWC says mirrors how women learn. Most AWC programs lead to a bachelor's degree, but a few associate degrees and certificates are available. Online students can major in accounting, business administration, business analytics, child psychology, counseling foundations, criminal justice, digital forensics/cybersecurity, digital marketing management, education studies, entrepreneurship, food science and safety, health sciences, health and wellness, human resource management, human services and rehabilitation, leadership and organizational studies, liberal studies, nursing, offender rehabilitation and victim advocacy, operations management, and psychology. Bristol Community College was recently ranked in the top 100 best two-year colleges for adult learners in Washington Monthly's annual College Guide for 2017. That ranking places Bristol CC above more than 1,000 other community colleges in the U.S. Bristol offers a variety of transfer and career associate degrees in a fully online format. Career degree options include computer information systems and general management. Online transfer programs include communication, humanities, and behavioral and social sciences. Students interested in a criminal justice degree can take all classes but the required capstone online. The capstone can be taken as a hybrid class. Northern Essex Community College eases the way for students who want to transfer to a four-year school by offering some of the most common transfer degrees fully online. These include the business transfer degree and liberal arts associate degree, in most cases. (Liberal arts majors following the philosophy, psychology, or writing option can take 80 percent of courses online.) The rest of the online degrees and certificates at NECC are 80 percent online. The college participates in the MassTransfer Pathway program that assures all general education credits will easily transfer to another state school. It also has more than 100 program-specific transfer agreements with a variety of colleges - public, private, in-state, and out-of-state. Students who want to earn an associate degree in business administration, either to enter the workforce immediately or to transfer to a four-year college, can earn it completely online through Quinsigamond Community College. Those two degrees, and an associate degree in general studies, are the only 100 percent online programs QCC offers. However, another eight degrees can be earned almost entirely through web-based coursework, ranging from a liberal arts degree that is 95 percent online to a computer applications specialist degree that's about 85 percent online. A similar range of certificate programs are fully or partially online. In all, the college has more than 100 courses online, so students have plenty of options. Endicott College offers a variety of 100 percent online degree programs at the associate, bachelor's and master's level. Many of the undergraduate programs are designed for adult learners, who must be at least 24 years old and have two or three years of work experience before they can apply to the program. Endicott delivers all of its master's level programs related to applied behavior analysis online with no residency required. These include Master of Education programs with majors in applied behavior analysis, special education, or autism, as well as a graduate certificate in applied behavior analysis. The Master of Science in Homeland Security Studies uses a cohort model and offers students the option of an internship. Students in the online MBA program can choose from 15 different concentrations. Undergrads can earn a Bachelor of Science in Business Management, Bachelor of Arts in Liberal Studies, or Bachelor of Science in Psychology. Online associate degree programs include business, integrated studies, and hospitality management. All students in Endicott's online programs have access to support services including tutoring and writing assistance, and librarians are available to help online students over the phone. With the exception of the RN to BSN program, UMASS Dartmouth's 10 online baccalaureates are split between liberal arts programs and business and operations degrees. Of the former, the most basic is the BA in Liberal Arts, which allows students to choose two concentrations. Another offering, Women's and Gender Studies, is a rarity in distance education. Students willing to venture onto campus periodically can enroll in one of several hybrid programs. Graduates, meanwhile, can pursue an MBA for business, an MS degree in Nursing or Healthcare Management, or a handful of other credentials. Certificates are also available. Anna Maria College has added a Master of Science in Health Emergency Management to its list of online degree offerings. This master's program uses a hybrid format that combines online coursework with emergency simulation exercises that students attend in person. The rest of the online degrees can be completed in a totally online environment with no need to go to campus. The undergraduate programs allow working professionals to finish work for a bachelor's degree to advance their career. There are degrees designed specifically for paramedics, firefighters, and registered nurses with some college credits. Anna Maria College also has an online Master of Public Administration with tracks in criminal justice, emergency management, and homeland security. Middlesex Community College lists 10 associate degrees that it considers online degrees, although several of these, such as the Associate of Science in Fire Protection and Safety Technology, require students to come to campus to complete labs. Degree offerings include both transfer programs for students who intend to complete a bachelor's degree at another school and programs that are more career focused, such as hospitality management. Five certificate programs are available in an online or hybrid format, including computerized accounting and travel services management. Middlesex delivers hundreds of courses online each semester, with multiple sections of required core courses, such as economics, to eliminate the hassle of wait lists. Fitchburg State University has online programs in education, business and nursing. MBA students can earn a degree in human resources management or in management in about a year and a half by taking one seven-week course at a time. Classes are asynchronous, so working students can access the material at the time that works best for them, and students move through the program as part of a small cohort of peers. The online Master of Education in Special Education offers a variety of concentrations and has options for initial licensure and for currently licensed teachers. While courses are delivered online, some courses require limited Saturday in-person meetings. Students have six years to complete the degree. The Master of Science in Forensic Nursing is delivered in a 100 percent online format, and students have six years to complete the degree. Undergraduate programs offered online include an RN to BSN program for working nurses and the management concentration for the Bachelor of Science in Business Administration. Online students at Fitchburg State have access to 24/7 technical assistance. The Massachusetts College of Pharmacy and Health Sciences has a variety of online degree options in various fields of health care. The programs all require that students have a previous college degree, which in some cases can be an associate degree. Some of the programs are offered entirely online, while others require students to attend a limited number of on-campus intensive sessions. While coursework is primarily delivered in an asynchronous format, students may be required to attended live chats or real-time sessions occasionally. MCPHS offers degrees in the following fields: Clinical research (master's), dental hygiene (bachelor's completion, associate to master's, and master's degrees), health care administration (master's), health sciences (bachelor's completion, master's, and doctoral); patient safety (master's), pharmacy (post-baccalaureate), public health (master's), and regulatory affairs and health policy (master's). Programs leading to degrees in nursing include bachelor's completion, associate to master's, master's, and certificates of advanced graduate study. MCPHS also offers graduate certificates in topics such as clinical research, oral health professions education, health care management, MRI, medication safety, and regulatory affairs. Lesley University offers five online bachelor degree-completion programs, seven online master's programs, and 10 graduate certificates for educators. Students who have completed some college work can earn a Bachelor of Science (B.S.) in Design for User Experience, B.S. in Business Management, Bachelor of Arts (B.A.) in Liberal Arts and Interdisciplinary Humanities, B.A. in Psychology, or B.S. in Human Services. In addition to a Master of Science in Management, Lesley offers education master's degrees in science in education, language and literacy, educational technology, and curriculum and instruction: elementary education generalist. There is also an option for teachers to design their own personalized program leading to master's in education. The graduate certificates cover topics such as autism spectrum disorders, online teaching, special education, mathematics education, and emerging technologies. Lesley University accepts up to 90 transfer credits for students who transfer into its online undergraduate programs. The college may award these students academic credit for prior learning experiences, based on a portfolio review. Students entering the online graduate education programs may be able to transfer up to six credits. Worcester Polytechnic Institute offers online Master of Science (MS) and graduate certificate programs in the following disciplines: electrical and computer engineering, fire protection engineering, power systems management, system dynamics, and systems engineering. Certificate-only programs are available online in cybersecurity, nuclear science engineering, power systems engineering, and systems thinking. Students accepted to the MS in Electrical and Computer Engineering program can choose from the following areas of specialization: analog/RF design, digital design, power systems engineering, and systems engineering. Additional online MS degrees are offered in the fields of environmental, mechanical, and robotics engineering. There is a Master of Engineering (MEng) degree in power systems engineering that can also be completed online. The program is made up of 30 credits and consists entirely of technical courses. Worcester also offers an online MS in Data Science program that includes four core areas of study: data analytics and mining, data access and management, mathematical analytics, and business intelligence. A 33-credit MS in Construction Project Management degree is available online through the university's Department of Civil & Environmental Engineering. At the current time, the Doctor of Philosophy (PhD) in Systems Engineering degree is the only online program offered on the doctoral level. The Rabb School of Graduate Professional Studies at Brandeis University offers a number of Master of Science (MS) degrees that can be pursued online. Each MS program consists of a minimum of 30 graduate credits. Applicants for the MS in Bioinformatics program must show the completion of undergraduate-level coursework in molecular biology and organic chemistry, programming (Java, C++ or C), and statistics. Additional MS degree programs are offered online in several other fields of study including (but not limited to) the following: digital marketing and design, health and medical informatics, instructional design and technology, strategic analysis, and user-centered design. The university also offers a Master of Software Engineering (MSE) degree online. Students accepted to the program have the option of following one of five available tracks: databases, enterprise architecture and development, networking, software testing, and web and mobile development. A 15-credit, post-graduate certificate in learning analytics is available online for students who hold at least a master's degree in a related field. The Heller School for Social Policy and Management at Brandeis offers an online Executive MBA for Physicians, an accelerated program that can be completed in just 16 months. The EMBA degree is AACSB-accredited. PLATO is the name of the online learning system of Westfield State University. Students can take a wide range of undergraduate courses online throughout the school year as part of their on-campus degree program. PLATO offers six online bachelor degree completion programs: Business Management (B.A. ), Sociology (B.A. ), History (B.A. ), Liberal Studies (B.A. ), Criminal Justice (B.S.) and Psychology (B.A.). There are four online minors (Art, Management, Psychology and Sociology). PLATO uses the Blackboard learning management system for course delivery and student-teacher communication. Babson College offers a Master of Business Administration (MBA) degree that can be pursued partially online. By enrolling in a combination of face-to-face classes and online coursework, students can expect to earn their MBA after just 21 months of continuous enrollment. The online learning component of the program consists of approximately 20 hours a week. On-campus instruction takes place about every seven weeks (Friday and Saturday). The MBA program follows a cohort model of education and offers two starting points during the academic year (March and September). Qualified applicants may be exempt from the GMAT requirement. Although the on-campus MBA program offers five areas of concentration, only two (finance and international business) are available online. Babson College has a new scholarship opportunity for eligible students accepted to the online MBA program. A one-time, non-renewable award of $5,000 is given to part-time online students who meet the scholarship requirements. Students receive the funds during their first two terms in the program. There are more than 60 online programs and degrees available at Northeastern University on both the undergraduate and graduate levels. Bachelor of Science degrees are currently offered in the following fields: finance and accounting management, health management, human services, information technology, leadership, liberal studies, political science, management, organizational communications, and psychology. Each program is comprised of 120 credits and can be completed on a full-time or part-time basis. Undergraduate certificates are available in accounting (18 semester hours) and advanced accounting (30 semester hours). Northeastern University has more than 35 online master's degree programs currently available online. Graduate-level degrees are offered in such fields as applied behavior analysis, corporate and organizational communication, informatics, legal studies, and public health. Students accepted to the online Master of Business Administration (MBA) can choose from the following areas of concentration: finance, general management, healthcare management, high technology management, innovation entrepreneurship, international management, marketing, supply chain management, and sustainability. At the current time, there are two doctoral degrees available online - Doctor of Education (Ed.D.) and Transitional Doctor of Physical Therapy. The Ed.D. program has a residency requirement that consists of two one-week on-campus sessions. Online students are eligible to apply for the same scholarship opportunities as on-campus students. As part of its "Evening Program" for students who need more flexible scheduling options, Bridgewater State University offers distance education courses in both an online and hybrid format. Web-only courses are conducted 100% online, while hybrid courses include online and in-person components. The school offers two types of hybrid classes: web-based with some lecture (80% online/20% face-to-face) and web-hybrid (50% online/50% face-to-face). BSU degree programs with online courses include accounting and finance, art, communication studies, criminal justice, economics, English, management, psychology, sociology and special education. BSU does not currently offer any undergraduate degree programs that can be completed entirely online. Students can earn a variety of professionally focused master's degrees and graduate certificates completely online through Lasell College. The professional MBA is open to applicants who have at least three years of professional experience. Students earning the online Master of Science in Criminal Justice can choose to concentrate in emergency crisis management, homeland security, violence prevention and advocacy, or they can design a personalized option. Students in the Master of Science in Management program can concentrate in elder care management, hospitality and event management, human resources management, management, marketing, nonprofit management, or project management. The Master of Science in Sport Management has concentrations in sport hospitality management, sport leadership, and sport nonprofit management. The Master of Science in Communication offers concentrations in health communication, integrated marketing communication, and public relations. Most online courses Lasell offers are presented in an accelerated eight-week format, although the professional MBA uses a 16-week format for classes. All online classes are delivered in an asynchronous format so students can log on at a time that suits them. Online students can get tech help 24/7, and they also have access to how-to videos and student services online. The Division of Accelerated and Professional Studies at Fisher College offers a variety of online programs designed for adult learners. Most of the programs offered by Fisher Online present courses in eight-week terms, with six terms per year. Students may be eligible for academic credit for training they have received in the military, on the job, or through life experiences, and they can apply for credit through a prior learning assessment. Degrees offered online include an MBA with a concentration in strategic leadership, Bachelor of Arts in Communication and Media Studies, and Bachelor of Arts in Psychology. Students seeking a Bachelor of Science (B.S.) in Human Services can concentrate in early intervention or early childhood education and early intervention. Students seeking a B.S. in Management can concentrate in accounting, computer information systems, finance, health care management, health information management, human resource management, or leadership. B.S. degrees are also offered in criminal justice and marketing. Fisher's online program also has programs leading to associate degrees in early childhood education, business administration, criminal justice, health information technology, and psychology. The online degrees that Nichols College offers through the Graduate & Professional Studies are actually HyFlex programs that allow students to choose how they learn each week - online in real time or face-to-face on campus. The following graduate programs are available in this format: Master of Business Administration (MBA), Master of Science in Organizational Leadership (MSOL), and Master of Science in Accounting (MSA). All courses for each program are seven weeks in length, and it is possible for students to graduate from the program of their choice after just 18 months of part-time enrollment. Additionally, there are six start dates for each program throughout the year, so students can begin their studies at a time that is most convenient for them. Certificate programs are currently available online in the following areas: operations management/six sigma, leadership, employee benefits, and advanced critical thinking and decision making. Each certificate consists of 9 credits. Nichols College offers an online Bachelor of Science in Business Administration (BSBA) degree designed for the adult learner. The program has seven start dates throughout the year and each course is only seven weeks long, making it possible for students to earn the BSBA degree in a shorter amount of time. 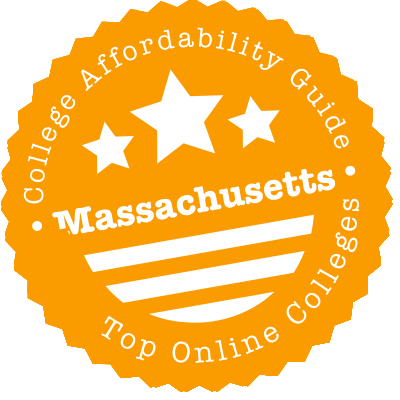 Massachusetts is the land of milk & honey when it comes to online degrees. You’ve got a whole heap of affordable options—including University Without Walls (UWW)—through the public university system. Massachusetts residents may qualify for MassTransfer or the RSP tuition break. MIT and Harvard offer free MOOCs. And a number of low-cost, high-quality schools have done very well in U.S. News & World Report rankings. For more on all these initiatives, plus some advice on how to check for regional accreditation, browse through our short guide to choosing an online program in Massachusetts. UMassOnline is the starting point for the University of Massachusetts’ online courses, certificates, degree programs, and corporate/professional education opportunities. These programs are offered at five campuses in the UMass System. The website lets you search for specific online degrees and certificates or individual online courses. It also has some useful guidelines on applying for financial aid. Thinking about transferring credits from a community or state college to a UMass campus? The Massachusetts Department of Education (DOE) has details on UMass transfer agreements, including the cost-cutting MassTransfer program and the Commonwealth Commitment plan. Some online programs are included in the MassTransfer compact (e.g. UMass Amherst’s online Bachelor of Business Administration (BBA) or Bachelor of Science (BS) degree completion programs; Westfield State University’s online degree completion programs, etc.)! Check with your community college or university for details. Massachusetts Colleges Online (MCO) is a consortium of the Bay State’s 15 community colleges and 9 state colleges (e.g. Bridgewater State University). You can use its online program catalog to find online or hybrid degrees at any level (associate’s, certificate, bachelor’s, or master’s). To help students finish that all-important bachelor’s degree, UMass Amherst has developed the University Without Walls (UWW) degree completion program. You can customize your program by choosing 100% online, hybrid, or on-campus courses. Even better, you can transfer (or earn) up to 100 credits for prior coursework, prior learning, and work & life experience. This can really cut the costs of tuition & fees. But wait, there’s more! Most UWW students receive some kind of financial aid and there are a goodly number of UWW scholarships open to adult learners. The program also welcomes military & their families. Named as a G.I. Jobs “Military Friendly School,” UMass Amherst participates in the Yellow Ribbon program. All veterans receive 3-4 academic credits for completing basic training; veteran and active duty servicemembers do not have to pay the application fee. The New England Board of Higher Education (NEBHE) has developed a tuition break program called the New England Regional Student Program (RSP). Through the RSP, residents from six states (Connecticut, Maine, Massachusetts, New Hampshire, Rhode Island, and Vermont) are able to enroll in discounted programs at out-of-state public schools in the New England area. The RSP regional rate is usually based on a percentage (up to a maximum of 175%) of a college’s in-state rate. That means you pay less than out-of-state tuition rates, but more than in-state. Each UMass website (e.g. UMB) has detailed info on which of its programs are eligible for the RSP discount. Online degree programs may be offered with RSP tuition rates—check with your prospective school for details. In the rankings for Best Online Graduate Business Programs (Excluding MBA), you’ll frequently discover Boston University (BU) lurking near the Top 10, UMass Lowell and Bentley in the Top 30, UMass Amherst in the Top 40 and the New England College of Business and Finance near the Top 50. In the rankings for Best Online MBA Programs, you’ll often find UMass Amherst in the Top 20, Worcester Polytechnic in the Top 25, UMass Lowell in the Top 50 and Northeastern near the Top 75. Individual Massachusetts schools excel in other subjects—BU has outstanding online rankings in Criminal Justice and Computer IT, UMass Lowell is among the Top 10 for Best Online Graduate Education Programs—but it’s interesting to see how strong corporate education is across the board. Want to dip your toe in the water? A lot of big names you’ll recognize—including MIT, Harvard, BU & Wellesley—offer MOOCs through edX. MOOCs are free, non-credit online courses and programs that are taught by university faculty and available to anyone in the world. edX was founded by Harvard University and MIT in 2012, so it makes sense that those two schools would appear on the list of schools & partners. MIT also makes almost all of its course content available online through OpenCourseWare (OCW)! Along with coursework (e.g. exams and assignments), OCW collections include audio/video lectures, online textbooks, and a ton of supplementary materials. This free resource is a great tool for both students and distance learning professionals. To be deemed an “Affordable Online School,” the following Massachusetts universities & colleges had to meet really tough criteria for quality, flexibility, price, and use of financial aid money. (You’ll see a CAG Score next to their profiles in our ranking.) Have more than one school in mind? College Scorecard has a lot of helpful statistics about each institution, including the percentage of students paying down debt within three years of graduation. Fitchburg’s section on Distance – Online Learning has the rundown on its online degree programs & certificates, as well as tips on financing your graduate & continuing education (what Fitchburg calls “GCE”). The Office of Student Accounts has an up-to-date list of tuition & fees for GCE programs, which include online undergraduate and online graduate degrees. Graduate scholarships are available. Framingham’s section on Online Learning supplies links to all of its online and hybrid degrees & certificates. Like Fitchburg, Framingham charges a different set of tuition & fees for programs offered through the Department of Graduate Studies (DGS) and the Department of Continuing Education (DCE). Students accepted into the DCE’s online BA with a major in Liberal Studies can apply for Prior Learning Assessment (PLA) credit—a maximum of eight course credits. UMass Amherst’s Department of Continuing & Professional Education (CPE) has details on its online degrees & certificate programs. (You’ll find similar links, plus a handy list of current online courses, on the university’s Online Classes website.) The CPE website outlines class fees & expenses and financial aid options. For 100% online classes, the class fee (i.e. tuition) is the same for in-state and out-of-state students. There are special scholarships for CPE students; tuition credits are also available for full-time Massachusetts state employees and active duty Massachusetts National Guard members. UMass Amherst is the flagship institution for the University of Massachusetts, so it works pretty hard to uphold its reputation. We’ve already talked about the University Without Walls (UWW) program and the school’s business strengths, but we also wanted to mention that UMass Amherst is often in the Top 50 of many other U.S. News & World Report online rankings, including a Top 20 spot in 2018 for it’s online bachelor’s programs. UMB’s College of Advancing and Professional Studies (CAPS) handles Online Learning for the school, and its website lists all of UMB’s online courses, certificate, and degree programs, as well as professional development programs and classes offered through the summer school. Fees for each online course can be found on CAP’s individual course description page. If you’re enrolled at least part-time in a degree program, you’ll usually be eligible for financial aid. UMB also has a number of transfer agreements that make it easy to transfer credits. UMass Lowell’s Division of Online Learning and Continuing Education has the scoop on Online Learning opportunities, with links to its 50+ online degree & certificate programs. Online courses are available year round and many programs contain affordable accelerated classes. The tuition & fees webpage has a breakdown of costs for online students, along with guidelines on applying for veterans’ benefits and financial aid. The university also supplies a number of continuing education scholarships and transfer scholarships. As you might have guessed from our section on business strengths, UMass Lowell is the top performer in the UMass System when it comes to U.S. News & World Report online rankings. Whether it’s business, education, IT, criminal justice, or online bachelor’s programs, results are consistently high. WSU’s Division of Graduate and Continuing Education has links to its online bachelor degree completion programs. These are typically designed for graduates of Massachusetts Community Colleges who have completed the MassTransfer compact, but other students are eligible. Tuition & fees are calculated per credit course. The Division also offers non-credit online career training courses. What’s more, the Division has a special online agreement with Holyoke Community College (HCC) called MassTransfer Plus. Under this partnership, students who complete an online associate’s degree at HCC—including the 34 credit MassTransfer Block—and maintain at least a 2.5 GPA are guaranteed admission to a WSU online degree completion program. That’s a 100% online degree. Whether you opt for an online or on-campus program, be sure your school is fully accredited by an organization recognized by the U.S. Department of Education. National accreditation applies to some distance learning institutions, but regional accreditation is the gold standard, especially if you’re thinking of transferring credits or applying for federal financial aid. The New England Association of Schools and Colleges (NEASC) provides regional accreditation for K-12 schools and higher education institutions in New England. Its Commission on Institutions of Higher Education (CIHE) is specifically responsible for technical/career institutions, colleges, and universities. Check CIHE’s Roster of Institutions for your choice of college. CIHE’s page on Recent Commission Actions will also list if a Massachusetts school has recently been put on probation or had its accreditation withdrawn because of quality concerns. Some of the schools that appear in the list below are completely unaccredited. However, we’ve also included regionally accredited schools where we found significant quality concerns (e.g. NEASC probation). Ambai University is an unaccredited school that holds no accreditations recognized by the U.S. Department of Education, and does not appear in the CHEA Database or College Scorecard. Atlantic Union College is a Seventh-Day Adventist school that lost its regional accreditation in 2011. It resumed offering bachelor’s programs in 2015, but as of 2016 it had not yet reacquired accreditation. North Lexington University is an unaccredited school that holds no accreditations recognized by the U.S. Department of Education, and does not appear in the CHEA Database or College Scorecard. Pine Manor College is regionally accredited by NEASC. However, it was placed on probation in April 2016 for failing to meet a variety of accreditation standards, including Mission and Purposes, Planning and Evaluation, Organization and Governance, Students, and Financial Resources. The college has two years to address these concerns and remains accredited while on probation. However, the Boston Globe noted that this was the second time Pine Manor had been placed on probation—the first time was in 2011. This spoof university holds no accreditations recognized by the U.S. Department of Education and its website sells branded clothing. It does not appear in the CHEA Database or College Scorecard. It should not be confused with Cape Cod Community College, which is regionally accredited. University of Phoenix is a for-profit university based in Arizona. The CHEA Database notes that it is regionally accredited by the Higher Learning Commission (HLC). However, College Scorecard reports that the Braintree Campus has an extremely low graduation rate and a lower than average number of students paying down their debt within three years of leaving school. University of Phoenix has also been the subject of multiple lawsuits over the years. New England Association of Schools and Colleges (NEASC): NEASC is the regional accrediting body for degree-granting higher education institutions in Massachusetts. Use the Roster of Institutions to search for regionally accredited institutions by state. Advice on Out-of-State Online Programs: The Massachusetts Department of Education (DOE) has a checklist of questions to consider if you’re thinking of an online program at an out-of-state college or university. Commonwealth Dual Enrollment Partnership (CDEP): The CDEP program offers MA public high school students the chance to take free college-level courses and earn credit toward high school courses or future college degrees. Courses are offered through Massachusetts community colleges, state universities, and UMass campuses. Online CDEP courses are available. Commonwealth of Massachusetts Virtual School (CMVS): A CMVS is an online public K-12 school operated by a board of trustees. CMVSs must be approved by the Board of Elementary and Secondary Education. The DOE’s FAQ section has a list of approved CMVS schools. UMass Transfer Agreements: The DOE has info on—and links to—transfer agreements that allow community & state college students to transfer credits to UMass campuses. These agreements include MassTransfer and the Commonwealth Commitment. Massachusetts Colleges Online (MCO) Program Catalog: Use this website to search for online or hybrid degrees at any of the Bay State’s 15 community colleges and 9 state colleges (e.g. Bridgewater State University). MIT OpenCourseWare: This website contains virtually all of MIT’s course content, including audio/video lectures and online textbooks. It’s free to anyone in the world. UMassOnline: Search for specific online degrees and certificates or individual online courses available at UMass campuses.